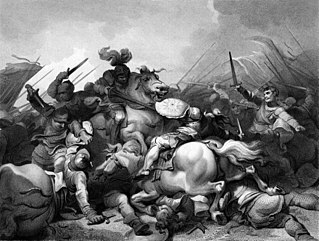 The Stafford and Lovell rebellion was the first armed uprising against King Henry VII after he won the crown at the Battle of Bosworth in 1485. The uprising was led by Francis Lovell, 1st Viscount Lovell along with Sir Humphrey Stafford (c.1426/7 – 8 July 1486) and Thomas Stafford, brothers from Grafton, Worcestershire. The uprising occurred during Eastertime 1486. After the Battle of Bosworth in 1485, Francis Lord Lovell and Humphrey Stafford sought sanctuary at Colchester Abbey. 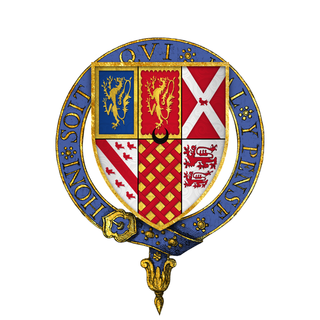 The conspirators hoped to restore the Yorkist monarchy. 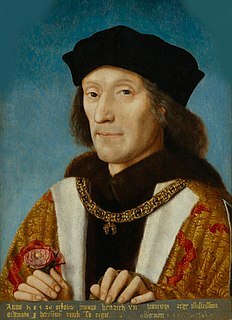 Henry VII used spies to monitor the activities of known Yorkist supporters. Sometime in April 1486, King Henry learned that Lovell and Humphrey Stafford had escaped and were planning a rebellion. Sir Richard Edgcumbe and Sir William Tyler were appointed by the King to apprehend Lovell. With the failure of the plot, Lovell first joined fellow rebels at Furness Falls and later fled to Margaret of York in Flanders. In the meantime the Stafford brothers had risen in rebellion in Worcester, despite the fact that King Henry had mass support in that area. During this time Henry was in York on a nationwide tour of the country. As soon as he advanced towards Worcester in order to eliminate Yorkist support, on 11 May 1486 the Stafford brothers again fled to sanctuary, this time at Culham Abbey. King Henry had the Staffords forcibly removed from the abbey on the night of 14 May by John Barrowman and one follower. They were tried before the Court of King's Bench, where the justices ruled that sanctuary was not applicable in cases of treason. Henry then ordered the execution of Humphrey Stafford of Grafton, but pardoned the younger Thomas Stafford. The arrest prompted a series of protests to Pope Innocent VIII over the breaking of sanctuary; these resulted in a papal bull in August which agreed to some modifications affecting the privilege. ^ Richardson I 2011, p. 119; Horrox 2004. ^ Williams, J., 'The Political Career of Francis Viscount Lovell. 1456-? ', The Ricardian 8 (1990), pp. 393-94. ^ Williams 1928, p. 186. Williams, C.H. (April 1928). "The Rebellion of Humphrey Stafford in 1486". English Historical Review. Oxford University Press. 43 (170): 181–9. doi:10.1093/ehr/xliii.clxx.181. JSTOR 552001. 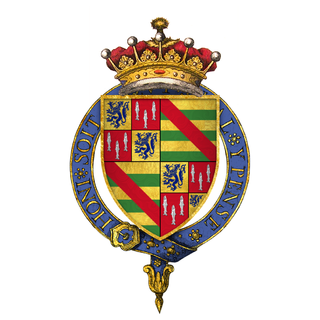 Sir Gilbert Talbot of Grafton, KG, was an English Tudor knight, a younger son of John Talbot, 2nd Earl of Shrewsbury and 2nd Earl of Waterford, and Elizabeth Butler.